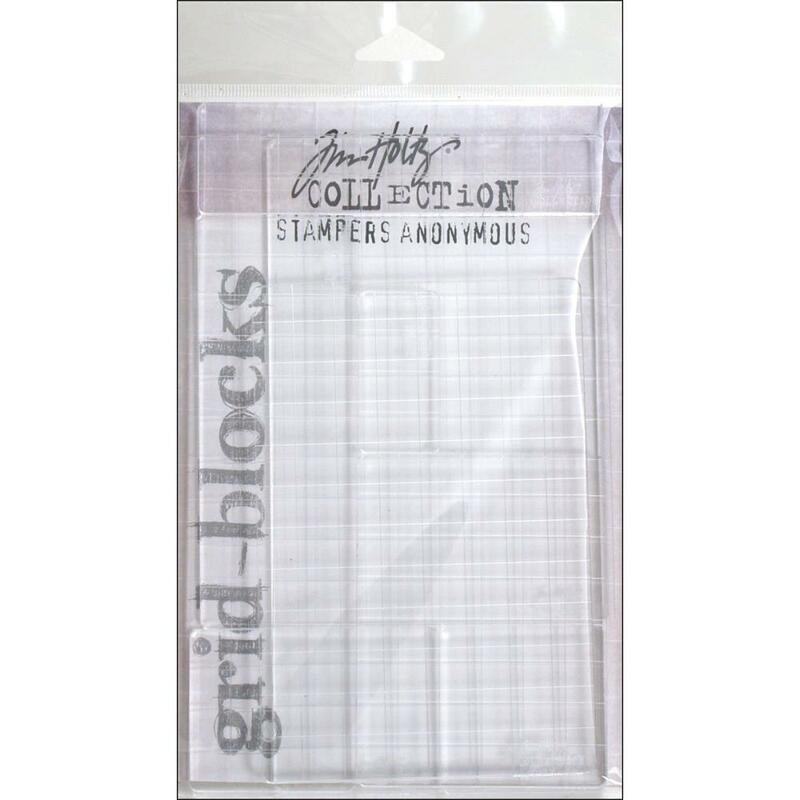 Tim Holtz Collection Grid Blocks. These blocks have an etched grid-like pattern for easy placement and accuracy! 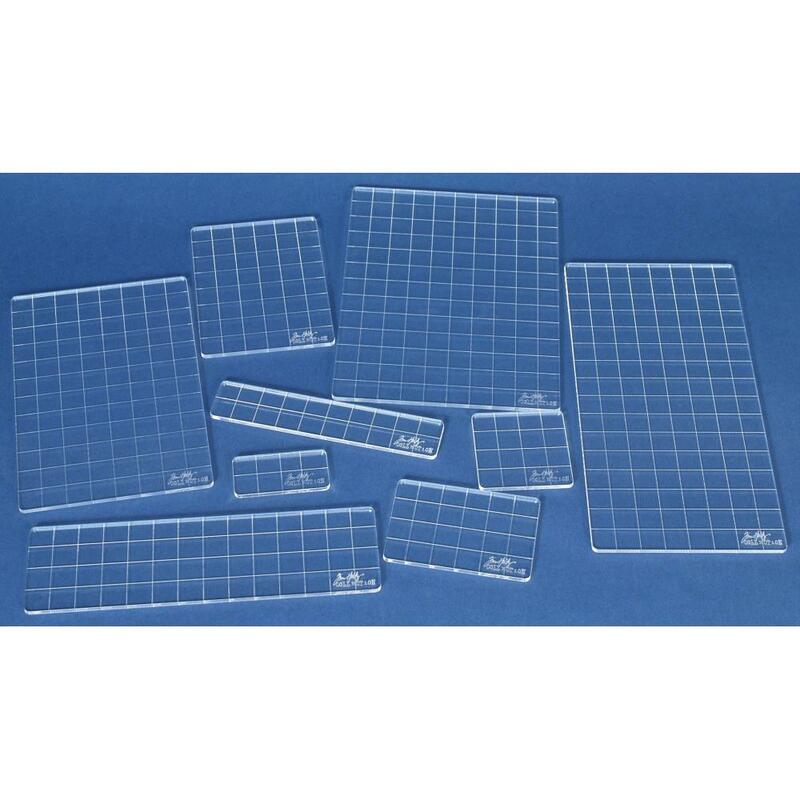 Great to use with Tim's clear and cling mount stamps; simply place stamp directly to the block and stamp! This package contains nine blocks in assorted sizes from 1x2 inches to 8x4 inches.